A decade ago, nobody would have considered founding a company that bridged the gap between organisational manpower vacuums and superior technical talent. In 2014, a close circle of keen entrepreneurs decided to take a chance with a model that had never been tried or tested before. With that, the seeds for Andela were sown. The founders decided to create a training organisation that recruited a select pool of talented technologists and problem solvers. The model was rooted in training, shaping and grooming these developers, to eventually place them in world-renowned technology companies across the world. The concept pivoted on remote collaboration. Companies could source talent without physically absorbing them onto their physical campus. Trained developers would operate directly from the Andela campus. Andela has set a precedent in the virtual training space by investing millions of dollars into creating an immersive simulated course that exposes developers to real life coding scenarios. If you find that creating a similar model is a challenge owing to a lack of quality teachers, you could always look at sourcing training from other parts of the world through the power of video. Pinlearn, a cutting-edge technology framework allows you to create a training portal that can be linked with your core coding competency. Before we tell you how to use Pinlearn to create your own training platform, let’s see how Andela has managed to sweep across the global education landscape. With offices in Nigeria, Kenya and Uganda, Andela is a global engineering company that specialises in creating intelligent teams of software engineers for companies across the world. The company’s coveted training programme is fastidious, handpicking only the best technical talent in Africa. The selection is based on psychometric test scores, coding tests and personal interviews. The final hurdle in the selection process is a rigorous weeklong on-site evaluation, where candidates put their knowledge to the test. Andela prides itself on handing out offer letters to less than twenty applicants, of which 95% accept. The developers that join the six-month-long training programme are put through intensive simulations, taught best practices and are guided through the journey with rapid, real-time feedback. At the end of the training programme, they are placed in one of Andela’s product teams, where they play a role in powering the internal software that upholds Andela. 900 skill checkpoints, 350 hours of programming, 120 code reviews and 500 github commits later, they are appointed as full-time team members in esteemed multinational companies. If you’re still not clear about Andela’s application, here’s an example that should make it clearer. Let’s say that you head a startup that is centered on technology. You likely spend about 47% of your company’s average base salary on recruiting, HR, tax and payroll. If you were to pick Andela to complete your workforce, you’d spend zero dollars on hiring, a concept that far outweighs the process and costs of in-house hires. The only difference in daily operations would be that your workforce would be based out of one of Andela’s Africa offices. Andela provides state-of-the-art, Silicon Valley-style office spaces, complete with personal Macbooks, catered lunches and high-speed internet connections for developers. Plus, it takes care of elements like payroll, employee satisfaction and safety. Hence, it is likely that the technology stack that supports Andela’s suite of programmes is underpinned by layers of the aforementioned technologies. If you plan to create a service like Andela’s for another region, you may face challenges in sourcing teaching staff to plan simulations and discussions. 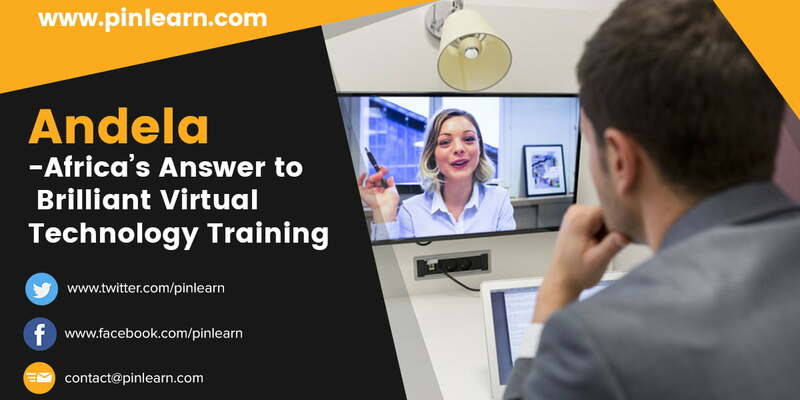 Pair your training module with Pinlearn to provide access to teachers located remotely. This way, you can conduct part of your programme over video, fitted with live interactions and on-demand course content. By adding Pinlearn to your technology stack, you can effectively save capital and time in building your training platform. The framework is pre-scripted and works on a plug-and-play model. Most of all, it is extremely economical. What Is Andela’s Monetisation Model? Andela’s main revenue stream is fuelled by the fees earned from linking its developers with clients. The business model seeks to save labour costs of organisations in North America and Europe while promoting employment opportunities in Africa. The unemployment rate among youth in Nigeria is currently over 50%, meaning that Andela’s opportunity is vast. How Can I Build My Own Andela? Technology aside, Andela’s operations are geographically distributed. Its American arm engages in clinching collaborations with top-notch companies, creating value, and assessing market needs and patterns. Its African arm focuses solely on training, extending applications to candidates, screening them and then onboarding worthy developers onto its programme. Building a training organisation is geography-specific, with talent in your region being a top factor for consideration. Training through technology has evolved tremendously in the past decade, opening doors for many aspiring entrepreneurs. With a robust technology stack, a portion of Pinlearn and a little faith, you’ll be all set to go.